Raclette cheese! Our brand new tricycle just in time for Christmas, warming the core of all those that indulge in the gooey stringy cheese. 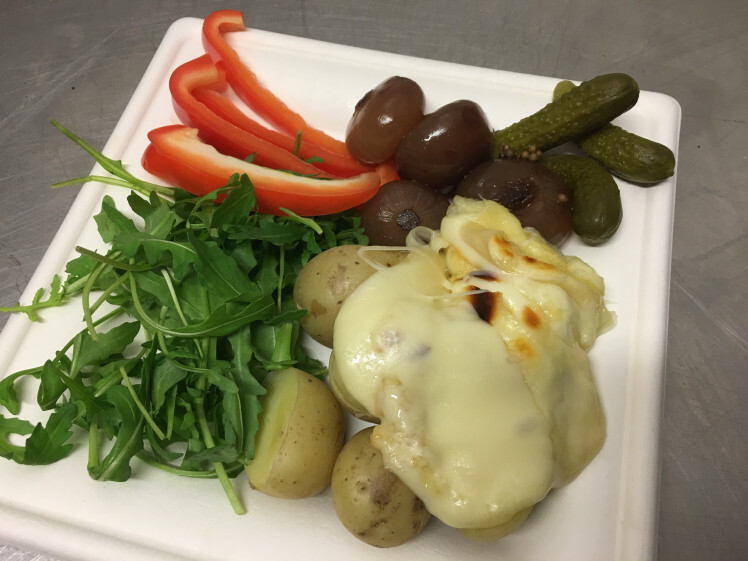 What is Raclette you may ask? Well it is considered the pinnacle of Swiss cuisine alongside fondue. A half moon of cheese held under a heater until it is so well melted that the surface of the cheese bubbles. The melted cheesy elixir is then scrapped all the way down and lands perfectly on a bed of baby potatoes. Served with red pepper, rocket, cornichons and pickled onions. Tickled the taste buds yet? Swiss Raclette cheese is said to have originated in the Alpine regions, where farmers had left cheese on rocks near a fire. When the cheese melted onto the rocks they scrapped it off and thought it the taste was incomparable to anything else. 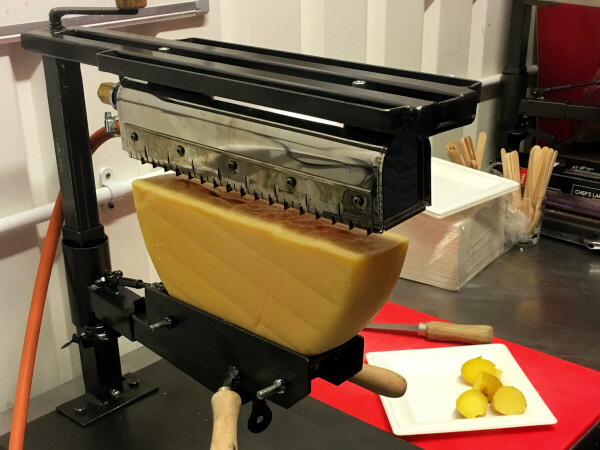 As the legend goes, Raclette cheese became well known as the best melting cheese on offer. With it becoming famous for providing a filling meal, which provided great energy to the farmers during their long days and nights on the hills. So why not follow in the farmers footsteps with a finely prepared meal for your Christmas party or any sort of upcoming event? The cheese compliments a whole variety of different situations from a lighter evening meal to an additional extra later into an event. 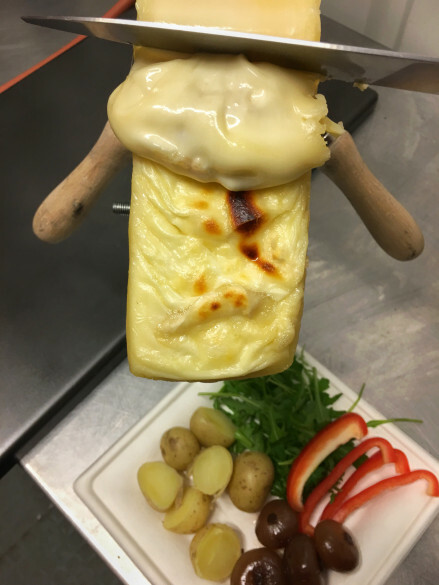 No matter the event your guests will leave with nothing less than a beaming smile after tasting our Raclette, we wholesomely guarantee. But what goes perfectly with Raclette, well Sipsmith gin and tonic’s of course! I don’t think many people would disagree with me that a good old fashioned G+T is a great British beverage, that on a warm summers evening is unrivaled. But realistically a great gin and tonic can be and should be enjoyed throughout the year no mater the weather. 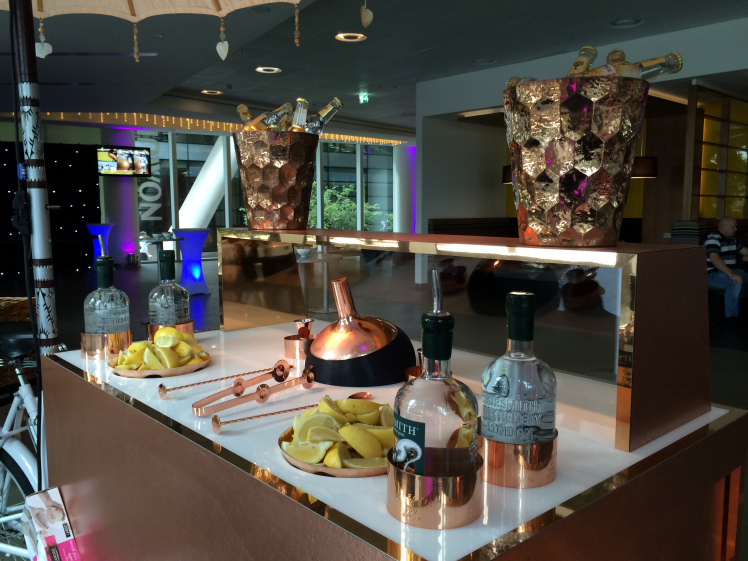 Sipsmith guarantees amazing gin every signal time. 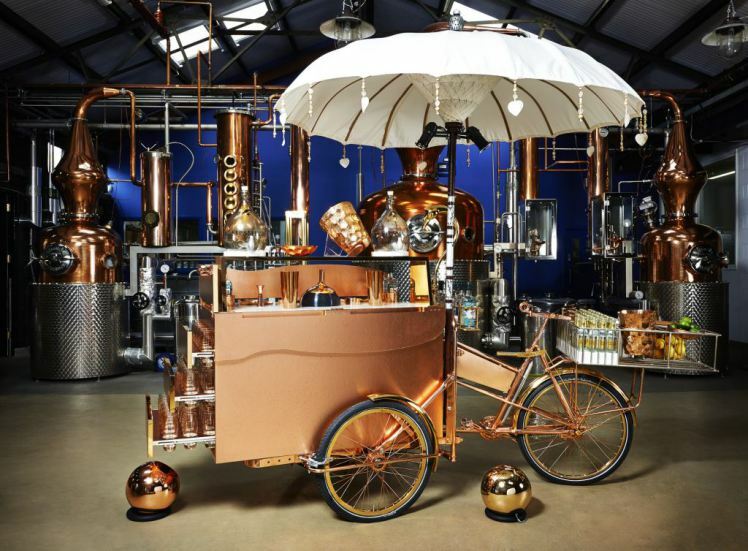 Created in their famous and unique copper distilleries, we designed our tricycle in their style and it has over the last year become our flagship tricycle. Check out our short video just to see the amount of time and skill that went into the creation of this magnificent tricycle, by clicking on the link to our Vimeo channel. Served with Fever Tree tonic water in a Sipsmith branded glass, the tricycle and the drink that it serves radiates elegance of the highest order. Garnished with fresh lemon and limes to top off perfection. It’s not too late to hire it for Christmas! Fancy it? Well inquire through this blog or on our website. We all look forward to working with you in the future, have a great weekend. Previous Previous post: Lights Camera Action!